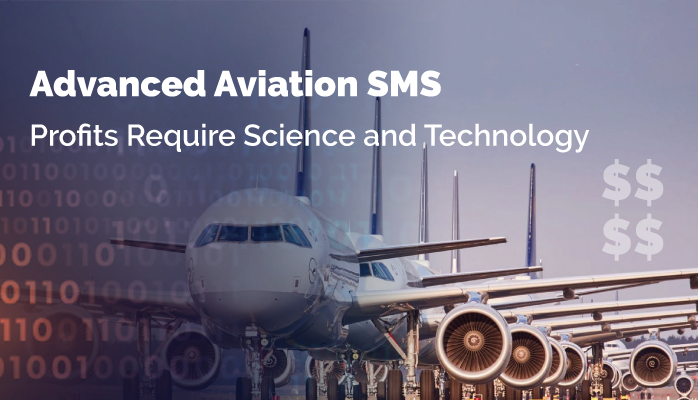 What Is Documentation in an Aviation SMS Program? The SMS implementation documentation is perhaps the first exposure to the mountains of SMS documentation required to demonstrate an SMS that is properly implemented and performing across the organization. When the accountable executive monitors SMS performance, there should also be records to account for this activity. SMS documentation never stops. Safety managers had better prepare themselves early on in the SMS implementation that they will need a way to manage all these data requirements. Below are five areas where effective SMS documentation will save a safety manager a heartache and/or a headache. Accidents will always happen. Sometimes they will happen very publicly. Public attention from accidents can bring a storm of negative attention on an organization. The wrath of the public generally boils down to one consideration. Fault. Heads will always roll. Public backlash can be severe if it deems that the accident was preventable – i.e. the organization's fault – vs a mistake that the organization could not have prevented – i.e. silly human error. When accidents do happen, documentation will be one of the primary barriers between the organization and everyone else: the public, FAA, etc. The ability to show hard evidence that the organization instituted policies/procedures/training that was related to the cause(s) of the accident can make all the difference between wrath and sympathy, between an organization scrambling to divert the finger pointed at them and being able to calmly point out that the accident was totally beyond their control. And that level documentation falls on the safety manager’s shoulders. If the documentation has been sparse or cursory, a new safety manager will have an extremely difficult time continuing where the preceding safety manager left the aviation SMS. 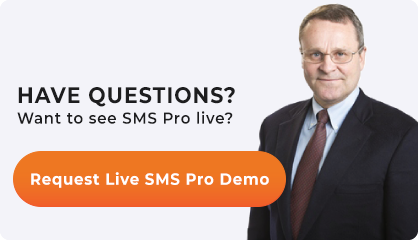 It can be a significant blow to the SMS implementation. In extreme cases, such as sparse and disorganized documentation, the new safety manager is left merely trying to pick up the pieces. Poor documentation is on par with a poor track record for a safety manager. What nice things will an organization have to say about a safety officer who leaves the SMS in disarray when he/she leaves? Similar to the above point, but when it comes to employee turnover, good documentation tends to be very proactive. Starting a new job is stressful. The environment, processes, and relationships are unfamiliar. I would be willing to bet that new employees pose a much greater risk than seasoned employees. Getting new employees up to speed and familiar with the aviation SMS plays an important role in mitigating that risk. -gives them a steady leg to stand on from the beginning of their tenure. This is especially true if the documentation has been regularly maintained to reflect real life practices. Safety audits can be a stressful time for an organization, and especially a safety manager. They don’t have to be a serious headache. Detailed and organized documentation for the flow and management of reported safety issues, as well as the organization and implementation methods for the aviation SMS, is often the difference between successful and poor audit preparation. In difficult SMS implementation where environments have a poor safety reporting culture, quality documentation becomes demonstrative of the energy and methods that a safety manager is employing in an SMS. It also makes the auditor's job way easier too when he/she is reviewing your organization’s risk management practices. Organizations with good SMS implementation documentation and well-documented risk management processes will consistently perform better in audits and receive more specific feedback on how they can improve. -an SMS is prone to hit setbacks and fall behind. Consistently hitting SMS goals depends on detailing realistic objectives in a proper time frame, and finding inventive, but practical methods of reaching those goals. I tend to find that SMS implementation activities are where documentation really shines and sets itself up as a criitcal aspect of building and demonstrating evidence of performing aviation SMS. One reason I’m a major fan of documentation is that it’s very controlled. Human factors – including your own and those of management – are much more of a wild-card, i.e., less controlled and more unpredictable. Life happens, things come up, people get distracted and make mistakes. If you rely on people too much, accidents will happen. Well-defined and enforceable processes are required. Documentation is finite. History demonstrates successful SMS rely on the system – the procedures and processes – rather than the people. The procedure is a framework you can rely on, and count on the fact that if you invest time and energy into doing it well, you will save time, energy, frustration, and will come out well prepared. Aviation SMS are implemented in a top-down approach, meaning that the SMS begins with the accountable executive. Safety managers don't own the SMS. The accountable executive is responsible for ensuring the SMS is performing in all parts of the organization and a "proper" SMS implementation endures. Awarding employees for exemplary contributions to the SMS. what language (level of prose) do they understand? what will they find genuine? We see many safety policies. We have to, as it is our job. A best practice for your safety policy is to keep it accessible to all employees and not stored on a network drive where only the safety manager knows where to find it. 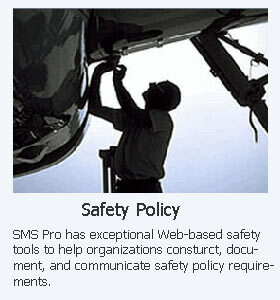 Putting your safety policy online using your SMS database is a best practice. Unfortunately, most of the safety policies I've seen are written for a college level audience. Yes, they may be beautifully drafted and say all the right things, but they lack authenticity. Just because you found a great template does not mean it is suitable for your audience (your employees). Try "dumbing it down" so all employees can understand the safety policy. This is a great first step in building your safety culture. To often (60-75% of the time), I see safety policies written for SMS regulatory authorities. This practice "checks the box," but adds no real value to the SMS. It becomes just another useless document that nobody even bothers reading. As industry professionals, safety managers need to do a better job preparing safety policies for accountable executives. Why do I call out on the safety managers as the culprits? Because in most cases, the accountable executive has neither the time nor inclination to draft a safety policy. And sadly, this demonstrates their lack of understanding and commitment to the SMS. Therefore, it is up to the safety managers to tackle this problem of writing safety policies that are directed to the proper audience. Safety managers, here is a suggestion. I know this will have the accountable executive's signature on it. I also know that you need to present to your accountable executive a high-quality, professional document. But please, please make the safety policy readable for the employees. If you feel a bit "guilty" about using unsophisticated prose that should be coming from the accountable executive, give the reasoning to the accountable executive when you provide the document to him/her to sign. The real truth here is that most SMS safety policies need to be re-written. If you have a good example of a safety policy you'd like to share that is better than these canned templates below, please share it for others to see how it is done. As I said, in most cases, the safety manager writes the safety policy for the accountable executive. A sophisticated, high-powered safety policy makes the safety manager appear more competent to other managers and to the accountable executive. This is an example of when documentation saves the safety manager at the expense of safety culture. When was the last time you reviewed your aviation safety policy? Here is a good resource.